As Fall approaches, many of us look forward to the show of changing leaves and crisp mornings, but the cooler days and evenings can keep some of us indoors. 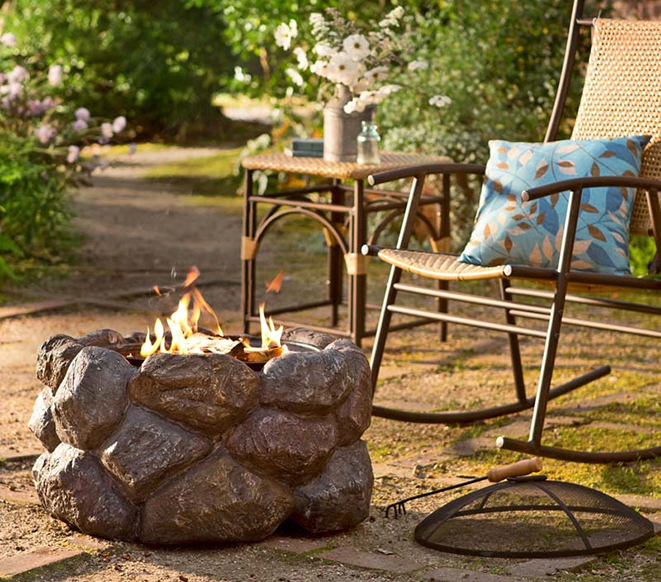 Fortunately, there’s an easy way to take the chill off out of fall and make your summer linger longer: a fire pit! A warm fire is ideal for extending your outdoor season and lets you enjoy family and friends in a relaxed setting full of ambiance. Creating an outdoor room expands your home’s square footage without a contractor at a fraction of the cost. 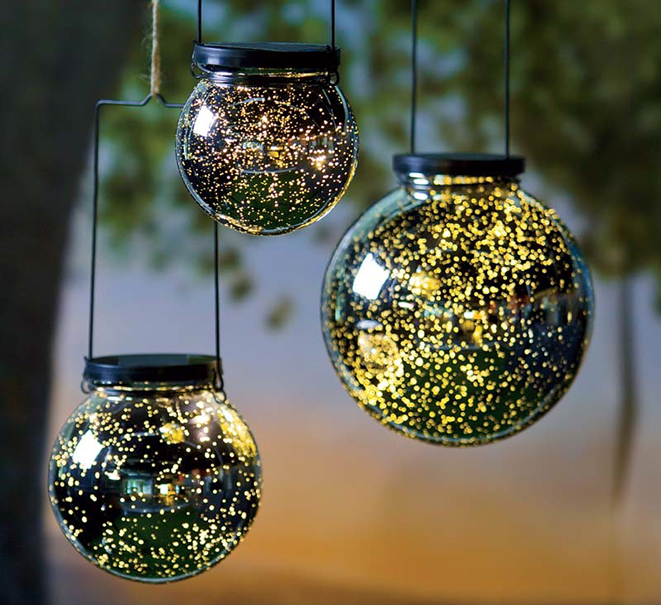 Add a fire pit and your outdoor room can span more seasons for casual enjoyment with the stars as your ceiling. 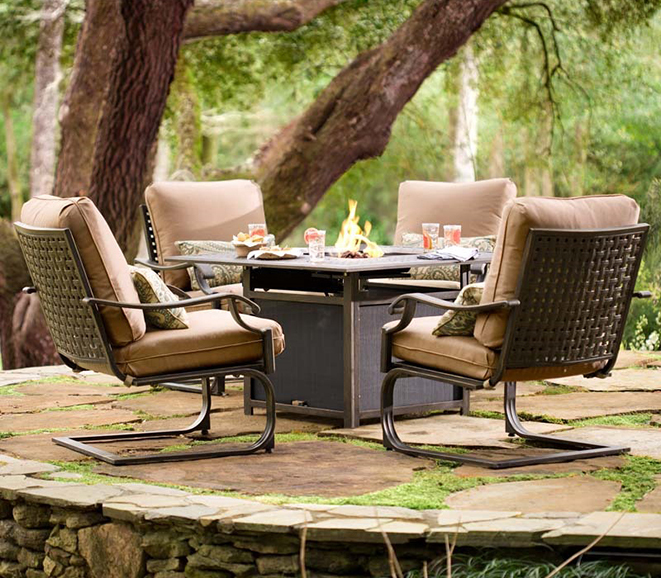 To create your outdoor gathering space, start with outdoor furniture that suits your style and budget. Anything from durable wood furniture to metal to deep seating options can build a great get-together area, but think about your entertaining needs and your space limitations. If your goal is dining alfresco with your spouse, a bistro set would suffice. If you’re more likely to relax with a few friends in the evening, a seating set would be perfect. If you often host a crowd, try stackable chairs and folding tables that can be set out and put away as needed. While a patio or deck makes an ideal foundation for an outdoor living space, you don’t need one to make an outdoor room work for you. Place furniture directly on the lawn for a casual feel and use the grass as your carpet. Whether on patio or lawn, make sure the seating is close enough to encourage conversation and that side tables are easily reachable with a drink or plate. To prolong the evening when the sunlight (or the fire) dies down, consider adding outdoor lighting to increase the ambience of your space—and don’t worry about your guests tripping over extension cords! There are multitudes of outdoor lighting options that rely on batteries or solar panels to power their glow, and they come in every shape, size, and shade to match the look and feel you’re going for. Once you’ve designed your outdoor space, look for a fire pit that suits the style and mood as well as your entertaining needs. As fire pits have grown in popularity, so have the design options. They range from classic and simple to whimsical and sophisticated, going from a functional heat source to a “wow factor” focal point in your outdoor oasis. You’ll find everything from decorative cutouts that allow you to enjoy the dancing flames to sleek bowl designs, rustic styles with faux logs or stone, slate tops, and more. You’ll also want to consider the type of fuel you use to create your flames. 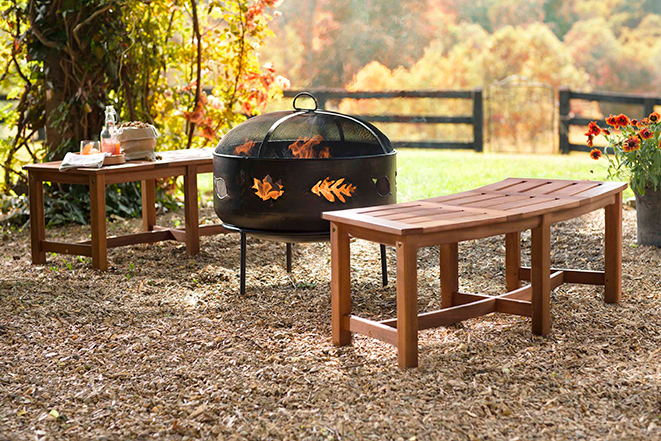 Wood burning fire pits add the ambiance of dancing flames, crackling sounds and a sultry smell that says Fall. Gas burning fire pits are gaining in popularity as they offer all the heat without the mess of burned ashes. Many that are gas-powered also incorporate table surfaces, making them ideal gathering spots. When figuring out just how big to go, think about how much time you like to spend outdoors. If you want to sit and enjoy a glass of wine for an hour, you can get a smaller fire pit that holds just a few logs, with the fire dying down before bedtime. Going propane is also a great option here because of that handy on/off switch. If you’re usually entertaining friends for an entire evening, you’ll want a large fire pit that can handle a lot of wood without too much tending so you have time to enjoy your guests. Once you’ve put chosen the look and style that works best for you, turn up the heat on any outdoor gathering by making your fire pit part of the fun. 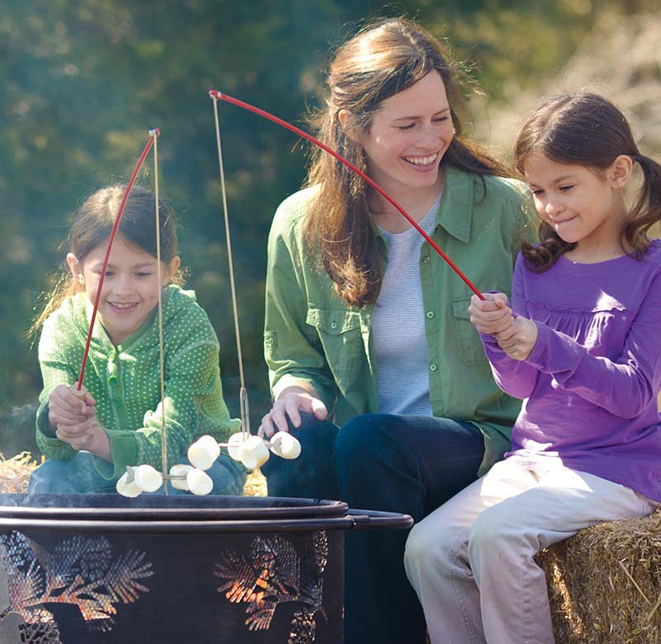 Toasting marshmallows around a campfire has been a cherished family tradition for generations. Fire pits bring that nostalgia back without the hazards of a campfire, and they allow for even more culinary options. Many come with a cooking grate so you can prepare an entire meal outside—all with your friends gathered around with you. No more tending the grill alone! Pie irons offer another way to enjoy cooking over an open flame. These long-handled cooking tools come in a variety of sizes and shapes to accommodate hot dogs, hamburgers, grilled cheese sandwiches and more. You can even pick up an open-flame popcorn popper and cook up a classic treat in the most old-fashioned and entertaining way possible. Whatever you try, get creative and involve everyone in the fun. Finally, when the food is done and you’re relaxing for the rest of the evening, kick up the ambiance with some color in your fire. Easy additives for your fire can create colorful flames that are sure to impress—and they provide that final entertaining touch to your fire-focused outdoor gathering space. About Plow & Hearth: Plow & Hearth is a trusted national retailer specializing in unique, enduring home, garden, yard, and lifestyle products that are quality-built and guaranteed to meet their customer's expectations. Whether you browse their catalog, visit them online, or drop into one of their 24 retail locations, you’ll quickly come to understand their guiding principle: treat every customer like a friend and neighbor.